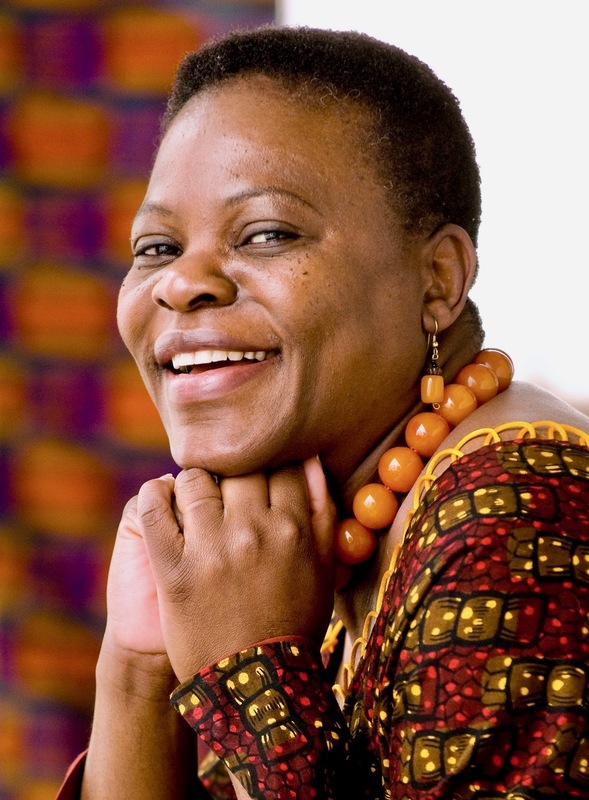 Born in a small village in the Northern region of Malawi in the early 1960s, Anna Msowoya’s career in humanitarian assistance began at the International Rescue Committee in Malawi, where she helped resettle the more than one million refugees fleeing the Mozambican civil war in the late 1980s and early 1990s. In 1991, she met and fell in love with John Keys, Malawi country director for the American Rescue Committee. In 1995, in response to the 1994 genocide in Rwanda, the couple moved to Rwanda to continue their work assisting the world’s most vulnerable. Anna and John celebrated their wedding in 1996 at the Hotel Rwanda. Bullet holes in the walls were still visible as testament to the hotel’s role as a makeshift refugee camp for terrified Tutsis fleeing the Hutu massacre months earlier. It did not take Anna long. 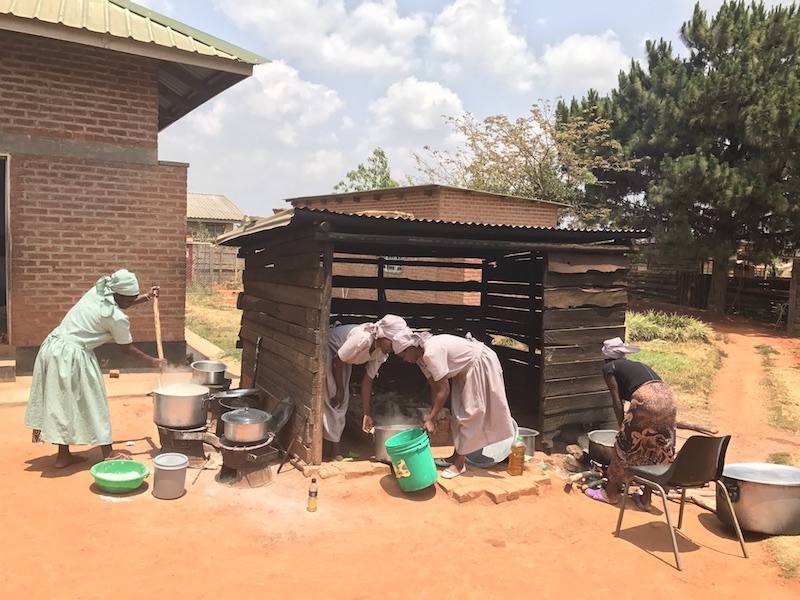 Only one year later, in 2004, she along with twenty local Mzuzu women, pooled their own very limited resources and created the Kwithu Community Based Organization (CBO), a volunteer group dedicated to feeding twenty vulnerable children one hot meal a week. The name they chose for the organization was fitting as Kwithu (pronounced kwee-too) means home in the local language of Tumbuka. 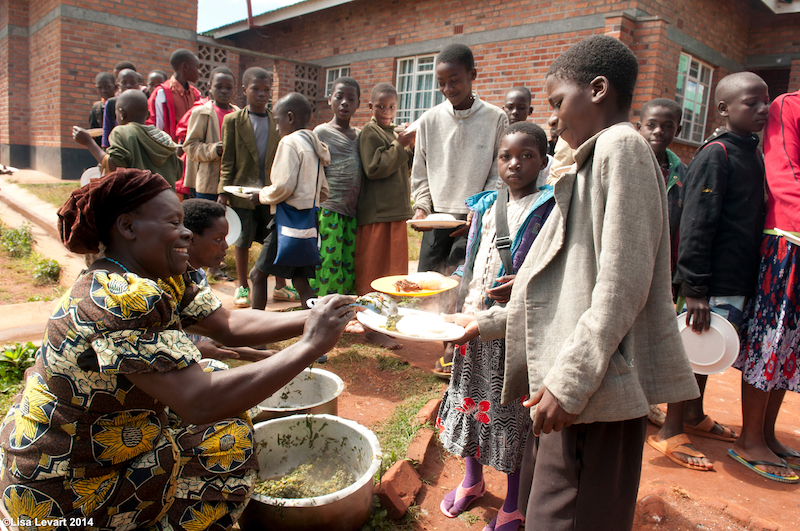 Today, the Kwithu Women’s Group is still under Anna’s leadership and feeds over 350 children a hot meal three times a week. But that is not all. It also offers early childhood education programs for three- and four-year-olds, after-school tutoring in English and math for primary school children, HIV/AIDS counseling to hundreds of families, and scholarships for the needy children to attend secondary school. Anna’s co-founding of the Kwithu CBO had other ripple effects. A visionary, she realized that all of their efforts would be for naught if the children of Mzuzu didn’t ultimately go to high school, even college. 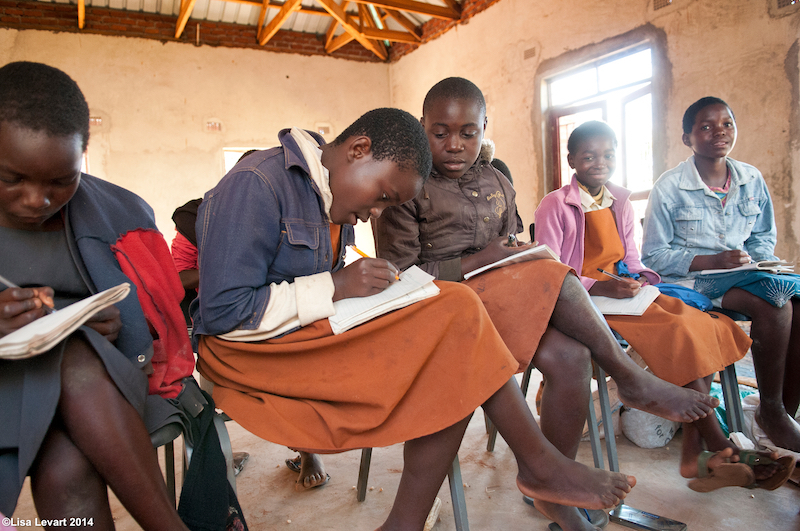 To her, the most promising way to help Malawi change its dire course was to educate its children. So, in 2006, Anna courageously defied expectations, securing land from the government and seed money from an angel investor, the two vital resources needed to make her vision a reality. 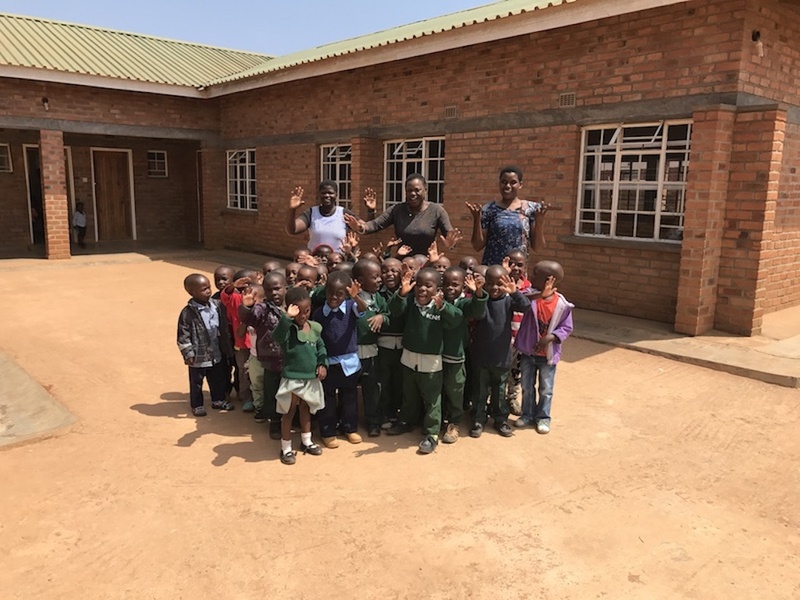 Four years later, Mzuzu International Academy opened with its first 35 students in two classes, freshman and sophomore. In 2015, eight of the original twenty children fed by the Kwithu CBO graduated from the academy. The 2017 school year began with 120 primary students and 130 secondary boarding students in grades Kindergarten through Twelve. Another ripple effect of Anna’s dedication and drive was felt in America. That is where Anna founded Maloto (Tumbukan for “dreams”), a US-based organization dedicated to raising money for Kwithu’s various programs. This month, Maloto is celebrating its tenth anniversary. Since inception, it has raised more than 8 million dollars, primarily through individual donations. Anna’s selflessness and accomplishments on behalf of refugees have not gone unnoticed. In 2006, she received an unexpected phone call from Tom Brokaw, the iconic American newscaster. Mr. Brokaw had been told Anna might be of assistance with an interview he was working on in Africa concerning the Rwandan refugees. After he successfully explained to Anna who he was and Anna finally overcame her embarrassment at having no clue as to who he was, she agreed to accompany the newscaster on his trip to Africa. During this trip, Anna and Meredith Brokaw became friends, and Anna subsequently took Meredith to see the work of Kwithu in person. It was this trip that led to another legacy of Anna: the Kwithu Kitchen. Meredith Brokaw grew up in Montana, and when she saw the abundance of tomatoes that were harvested but left over to spoil, she recognized a business opportunity right away: the women should start a tomato canning business. Anna always recognized how much the CBO’s success owed to the shared love and sacrifice of the original twenty women. Meredith’s idea aligned perfectly with Anna’s desire to repay these women and to further empower them. Soon Kwithu Kitchen was born. Today it is a fully functioning tomato canning cooperative owned and run by seventeen of the original twenty Kwithu founders (sadly three of them passed away). The kitchen provides income for its owners as well as revenue to help sustain the other Kwithu CBO programs. When members of the original Kwithu Women’s Group discuss the strength of their organization and specifically why their CBO has accomplished so much while so many groups in their community fail to achieve impact, each and every woman credits the shared passion of the volunteer group to care for the children. This team dynamic saved Kwithu from becoming what one of the women described as “a CBO in a briefcase,” more concerned with applying for grants for personal benefit than remaining focused on the children. The women’s sense of shared mission has not just sustained its work but allowed it to grow exponentially. Anna Msowoya Keys is a passionate and fearless leader of female-led, community-driven programs that are creating significant positive, sustainable changes for Malawi. By any measure, she and the women of Kwithu are modern-day goddesses. Full disclosure: I am Anna’s husband, and therefore accept some ‘spousal bias!’. I am a seasoned aid worker, having worked for big international NGOs like the American Refugee Committee, International Rescue Committee, and others for many years. They’re all great, and I loved working for them. Anna is achieving more, with less funds, than what I (and others) did for those huge organizations. It’s not that the big NGOs are ‘bad’ and local efforts are ‘good’…but I know most of my colleagues would agree that the successes we feel best about are those that truly are local, home-grown and come from the community level. International NGOs have a role to play, and even the best local initiatives sometimes need outside help. Liza has done a great job capturing Anna’s story. The fighter in Anna Msowoya Keys is an inspiration to many and a gives the encouragement that working with communities is not always about money. With minimal resources and just the passion and commitment, a lot of lives can be transformed for the better.